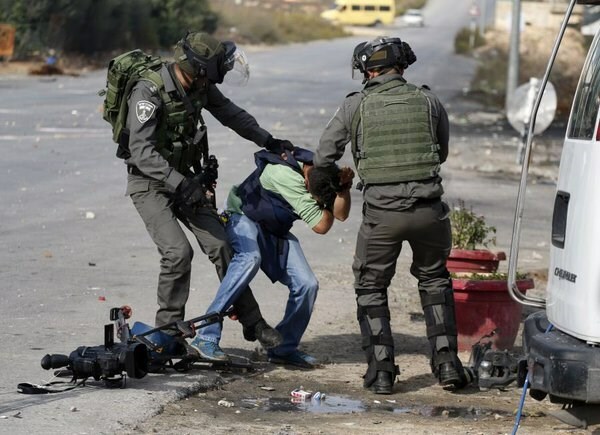 The report [PDF] said 2015 had seen 134 more violations against Palestinian journalists than the year before, an increase of 29 percent, although it noted that that 2014 had witnessed the “worst and widest violations,” including the deaths of 17 journalists during the 50-day Gaza war. The majority of 2015’s violations -- 407 incidents -- were committed by Israeli forces, MADA said, while the other 192 violations were committed by "various Palestinian bodies." Almost half of the violations committed by Israeli forces -- 42 percent -- were physical assaults, although the watchdog also monitored cases of soldiers denying media coverage, targeting journalists through gas canisters, stun grenades, and rubber-coated steel bullets, the confiscation of equipment, deleting recorded material, and closing media outlets. The report found that half the Israeli violations were concentrated in the final three months of 2015, after a wave of unrest swept across the occupied Palestinian territory. MADA said the closure of Palestinian media outlets by Israeli forces represented one of the most dangerous trends for media freedoms throughout the year, with three radio stations shut down in November, and a number of other outlets threatened due to allegations of “inciting” Palestinians to acts of violence. It is a trend that has carried into 2016, as another major news publication, Filistin al-Yawm (Palestinian Today), was ordered to close earlier this month. Separately, the report also noted three cases where Palestinian journalists had been used as “human shields” by Israeli forces, up from two in 2014. The watchdog also documented 20 arrests of Palestinian journalists in 2015, in what it said was the highest number since 2008. While Israeli forces committed the “the gravest and most hazardous of all monitored violations,” the group said that violations by Palestinian parties had also increased at an “alarming” rate -- 68 percent more than in 2014. The increase in Palestinian violations “raises serious concerns in relation to the manner in which the official authorities deal with the freedom of expression and media in the West Bank and Gaza Strip,” Rimawi said in a press release accompanying the report. The watchdog also pointed to a “step backward” in the legal environment for media freedoms in the occupied Palestinian territory, highlighting in particular the approval of the Higher Media Council law by Palestinian President Mahmoud Abbas in December. The report said the law, which expands the Palestinian Authority’s control over local media, was “unacceptable by all standards and measures,” and its approval had appeared rushed. The Israeli Occupation Forces (IOF) shot and killed a Palestinian young man for allegedly attempting to carry out a stabbing attack at the Gush Etzion junction on Friday evening. The shooting came shortly after two Palestinians were detained on suspicion of planning an anti-occupation attack in Shaare Binyamin illegal settlement north of occupied Jerusalem. Israeli media sources claimed that Israeli forces stationed at the Gush Etzion junction southwest of Bethlehem opened fire at a Palestinian youngster, killing the man and "foiling" the alleged stabbing attack. 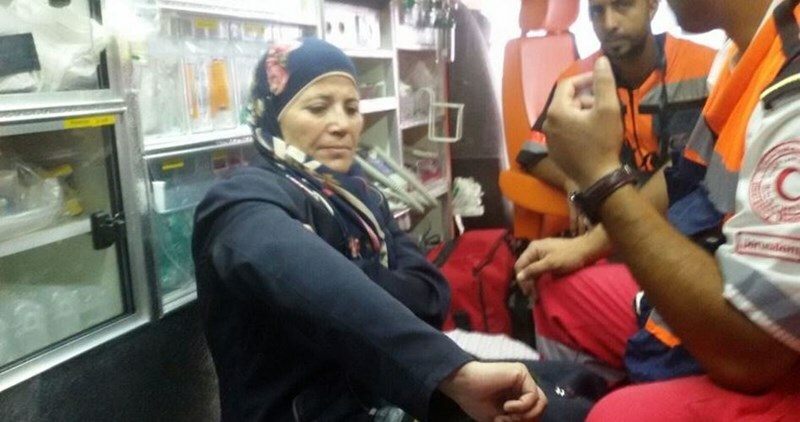 The Palestinian Health Ministry identified the victim as Mahmoud Ahmad Abu Fanunah, 21, from al-Khalil. Following the incident, IOF soldiers violently stormed Abu Fanunah’s house south of al-Khalil and questioned his family members. According to the PIC reporter, three journalists were arrested at Gush Etzion junction for unknown reasons. Shortly afterwards, Israeli police declared the arrest of two Palestinian minors near the entrance of the industrial zone of the illegal settlement of Shaare Binyamin northeast of occupied Jerusalem for allegedly carrying knives. Israeli police spokeswoman Luba al-Samri said Israeli troops spotted two youths exiting a car with Palestinian plates in the area. More than 185 Palestinians were killed by Israeli gunfire since the outbreak of Jerusalem Intifada on October 1, 2015 raising international concerns over the excessive, even extreme, use of force against Palestinian protesters. Israeli forces have carried out a series of unlawful killings of Palestinians using intentional lethal force without justification, said Amnesty International, based on the findings of an ongoing research trip to the West Bank, including East Jerusalem. An Israeli military court on Thursday extended the detention of Palestinian journalist Sami al-Sa'ie, from Tulkarem city, at the pretext there were further legal proceedings to complete. According to the wife of the journalist, the military court of Ofer in Jenin extended the detention of Sa'ie for eight more days on allegations of allowing the prosecutor to prepare an indictment against him. The Shin Bet has accused journalist Sa'ie, who is being held in Huwara military camp, of inciting to violence on Facebook pages. He was kidnapped from his home on March 9. The journalist works as a news reporter for al-Fajer al-Jadid satellite channel and worked previously for some Palestinian websites. The Islamic Radio Stations and Televisions’ Union said on Tuesday that Israeli occupation forces (IOF) had attacked and injured at least 14 Palestinian female journalists since the start of the anti-occupation uprising in October until the month of February. The union said in a report marking the Arab Female Journalist’s Day that three of the journalists were from Occupied Jerusalem, four from Ramallah, four from al-Khalil, two from Bethlehem, and one from the blockaded Gaza Strip. Each of the 14 journalists were either hit with live or rubber-coated steel bullets, or other Israeli crowd dispersal means such as teargas canisters and stun grenades. A number of female journalists sustained critical injuries in their heads, stomachs, and faces while others were used as human shields. News correspondent Faten Aref Ulwan, working for the al-Hurra TV Channel, was reportedly used as a human shield by the Israeli occupation soldiers while she was covering clashes in al-Bireh city. 31-year-old reporter Sayraa Ghassen Sarhan, working for the Filastin al-Yawm TV Channel, was also used as a human shield for three hours and was hit with teargas grenades while she was covering a rally in Ramallah. An Israeli settler escorted by a soldier stormed on Tuesday evening a room at the Afula hospital, where the Palestinian prisoner Muhammad al-Qeiq is being treated, and insulted him. Palestinians present near the room and police guards forced the soldier and the settler out of the hospital. Muhammad al-Qeiq is currently being treated for the health complications inflicted by a three-month hunger strike in protest at his administrative detention, with neither charge nor trial. He suspended his hunger strike after Israeli prison authorities promised to release him in May. Al-Aqsa TV Channel protested Monday before the French Cultural Center in Gaza France's decision to stop Al-Aqsa Channel's frequencies on Eutelsat satellite in response to a request from the Israeli Prime Minister Benjamin Netanyahu. The protest tent is going to be held for three days, according to the programs director of al-Aqsa channel Samir Abu Mohsen, to demand France to reverse its decision. Al-Aqsa TV deputy director, Muhammad Thuraya, confirmed that Israel prosecutes and brutalizes Palestinian media people. He insisted that stopping al-Aqsa frequencies is a "political decision". Thuraya considered the Israeli prosecution of the Palestinian media a sign of the pain the Intifada has inflicted on Israel. He expressed regret over the world community's subservience to the Israeli lobby, while it champions the journalists' freedom of speech. "We don't antagonize a group, a religion or a gender. We have no problems with anyone; our only problem is with our occupier," he said. Thuraya concluded with a message to France, "Reverse your decision." Salama Marouf, Director General of the Government Media Office, denied what he called "the organized attack" by Israel against the media, affirming that the attacks have increased since the start of al-Quds Intifada. He said, "At the French cultural center, we expressed our sorrow that we stood in solidarity with France during the terror attacks." He wondered, "How could France, which calls for freedom of speech, abide by the Israeli occupation requests?" Marouf condemned the French decision, referring to the Israeli mini-cabinet's resolution to target the Palestinian media. He also asked the Palestinians to support the Palestinian media, demanding the PA to allow more freedom for the media. Emad al-Efranji, Director of the Palestinian Journalists' Forum, addressed Netanyahu saying that silencing the media will not stop the Intifada. He said, "Our media doesn't incite; it delivers the truth of the Israeli extrajudicial executions of Palestinian youths, women, and children in the occupied West Bank." Al-Efranji deplored that France, which claims its commitment to the values of freedom, democracy and peace, yields to Netanyahu's requests. He described the French decision against al-Aqsa Channel as a stigma to the French government and the world, which claim defending freedom of speech. Daoud Shehab, spokesman for Islamic Jihad, refused the French decision, stating, "The French message is for the victim to be beaten and killed in silence." He viewed the resolution as an "international complicity targeting the Palestinian media". Nonetheless, Shehab insisted that the Palestinian media will be free to raise the awareness of the Palestinian issue. The leader in Hamas Movement, Salah Bardawil, pointed out that the role of al-Aqsa and Palestine Today Channels is to expose the Israeli injustice and maltreatment against the Palestinians. He said, "We are silenced as we demand justice. But the Palestinian people are not used to surrendering to any French or American resolution." He said that the French decision does not reflect humanity, civilization or freedom. He concluded, "We will continue to resist in Palestine and to defend the Palestinian cause." 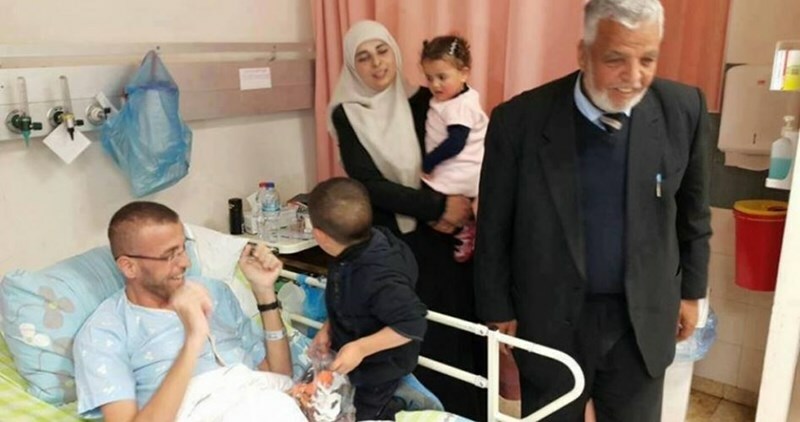 The health condition of Palestinian journalist Ali al-Aweiwi, 24, continues to decline because of his exposure to medical neglect in Israeli jails, according to his family. The family told the Palestinian Information Center (PIC) that Aweiwi suffers from Crohn's disease and thus needs a special diet to avoid further complications. It appealed to all human rights groups, the Palestinian ministry of information and the Palestinian journalists' syndicate to intervene to have him released in order to save his life. 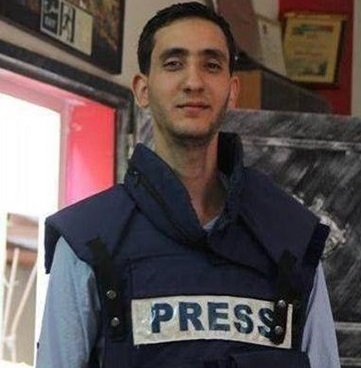 The journalist was kidnapped on October 26, 2015, one month after his release from Ofer jail. He works as a radio presenter and news reporter for a local radio station in al-Khalil. Executive manager of the Filastin al-Yawm TV Channel, Nafed Abu Hasna, said the press team will keep broadcasting facts on the ground despite Israel’s incessant threats. 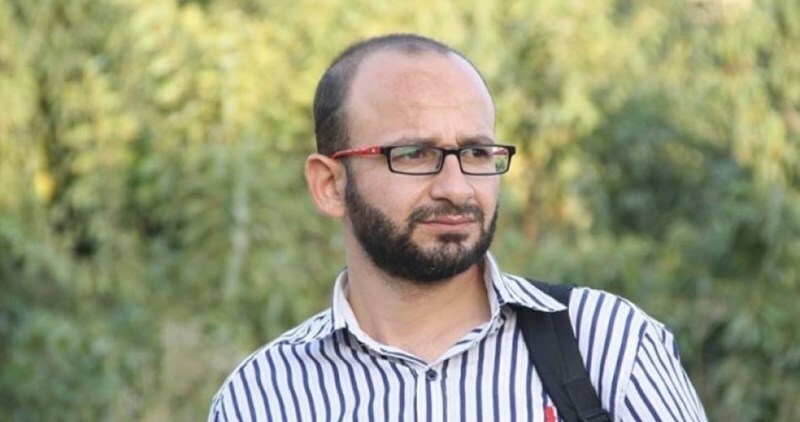 Speaking to the PIC by phone, Abu Hasna said the Israeli intelligence not only closed the Filastin al-Yawm TV office and arrested its director Farouq Alyat along with other journalists; it has also started to threaten journalists with arrests in case they continue to work for the channel. The Israeli occupation soldiers stormed the office of the Filastin al-Yawm channel in al-Bireh at dawn Friday and arrested its director. 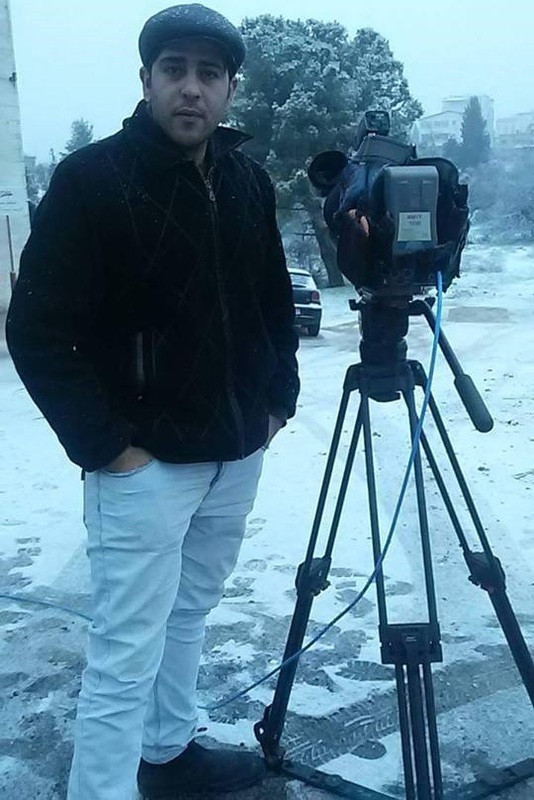 Journalist Ibrahim Jradat, working for channel, was also arrested at the Bir Nabala checkpoint on his way back home in northwestern Occupied Jerusalem. “Israel’s crimes against Palestinian journalists and the war it has been waging on Palestinian mass media will never dampen the spirits of our team. 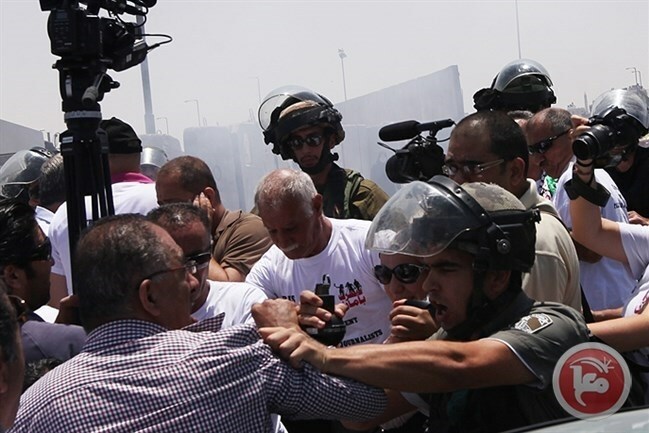 Filastin al-Yawm journalists will keep covering facts as they occur on the ground,” said Abu Hasna. “The Israeli occupation wants to pull the wool over the world’s eyes by quelling the Palestinian version of the national liberation struggle,” he added. “If our profession amounts to incitement then what does Israel’s daily terrorism against the Palestinians amount to?” he wondered. Head of the Union of Palestinian Radio and Television, Salah al-Masri, also said the Israeli assaults on Filastin al-Yawm and al-Aqsa press teams make part of a preplanned campaign to suppress the freedom of speech in the occupied Palestinian territories. “The Israeli occupation is quite aware of the vital role played by Palestinian media in transmitting to the world the tragedy endured by Palestinians along with Israel’s excessive use of force and arbitrary slaughters,” al-Masri noted. “Israel started to close TV channels and radios to make up for its failure in snuffing out the flames of the anti-occupation intifada. Such has been Israel’s policies to score fake goals before its zealous public,” he further stated. Meanwhile, the Palestinian Prisoners Society (PPS) said journalist Farouq Alyat is being locked up in the Israeli Etzion detention center. A hearing is expected to be held on Monday in the Ofer military court to decide on his case. The Israeli occupation authorities claimed that their decision to close the Filastin al-Yawm office comes against the backdrop of incitement to anti-occupation activism in the occupied West Bank. Several Palestinians were kidnapped by the Israeli occupation forces (IOF) at dawn Sunday in an abduction sweep rocking the occupied West Bank and Occupied Jerusalem. Eyewitnesses said the Israeli occupation troops rolled into Nablus city and kidnapped 21-year-old Dhiaa Akoub after they ravaged his family home. The IOF further stormed Ourata town, in southern Nablus, and wreaked havoc on civilian homes. 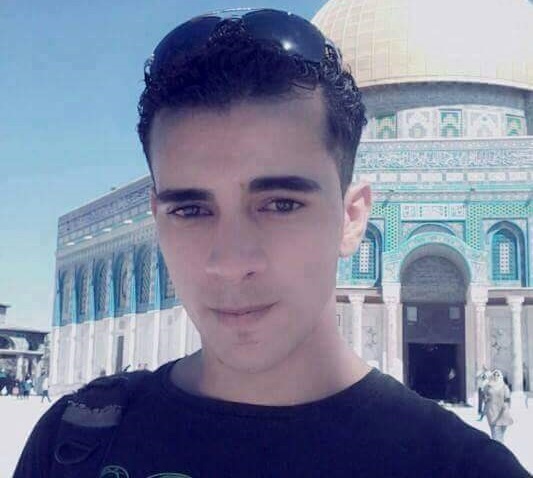 The IOF kidnapped 22-year-old Mahmoud Azawi from his own family home in Jenin’s southern town of Yabad, in the northern Occupied West Bank. The IOF reportedly sealed off the main entrances to Yabad with makeshift roadblocks after they stormed it in over 10 military jeeps. The IOF raked through residential neighborhoods in Yabad and rummaged into civilian buildings under the pretext that arms were found in the area. Sources based in Bethlehem said the IOF kidnapped the chairman of the Prisoners and Ex-Prisoners’ Association, journalist Muhammad Hmeida Zaghloul, along with two other Palestinians from the city. The occupation soldiers also kidnapped the brother of hunger-striking detainee Mahmoud al-Fasfous, Khaled, along with citizen Salim Fakouseh after they confiscated his private car. The campaign culminated in the abduction of two Palestinian youths from the Qalandiya refugee camp, in Occupied Jerusalem. The Aqsa satellite channel on Friday evening resumed broadcasting with a new logo after the French satellite provider Eutelsat removed it in the afternoon from its package of stations. News director of the channel Imad Zaqqout stated on his Facebook page that the Aqsa TV moved its broadcasts to the new frequencies, 11012H and 11177H, via new satellite providers. Zaqqout noted that the channel's main frequency would remain closed under a Zio-French decision and that it would not be able to be on air again with its known logo. He stressed that the channel is under attack by several parties on allegations of its incitement to violence against Jews. 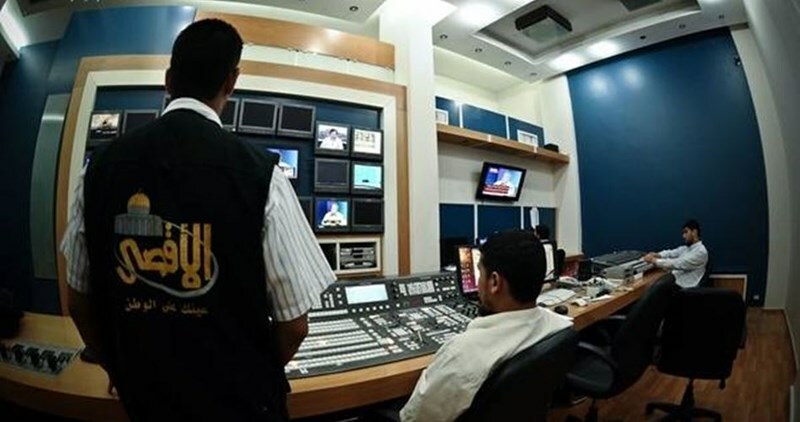 The French satellite company took Aqsa TV off air a few hours after the Israeli occupation army closed at dawn Friday the headquarters of Palestine Today satellite channel in the West Bank and arrested its director Farouk Aliyat. Israeli news reports affirmed that Eutelsat ceased airing broadcasts of the Aqsa television station following a phone conversation in this regard on Friday between premier Benjamin Netanyahu and French president Francois Hollande. Netanyahu had earlier urged Hollande to end the transmission of Al Aksa television, the Hamas-run channel that was being broadcast on the French satellite service EUTELSAT -- also associated with Palestine Today TV, which was shut down in the occupied West Bank, on Friday. According to the PNN, Israel’s Shin Bet internal spy agency said in a statement, on Friday, that the Ramallah offices were raided overnight, in a joint operation with the military over allegations that the channel “broadcasts on behalf of the Islamic Jihad,” a Gaza-based Palestinian resistance movement. The Palestinian Journalists’ Syndicate made an official statement, as well. The month previous, in October, Israeli soldiers raided the offices of the International Middle East Media Center and the Palestinian Center for Rapprochement. The current tension is ongoing since October, due to repetitive Israeli settler attacks on Al-Aqsa mosque, the third holiest place in Islam, and Israeli restrictions over Palestinian entrance, in addition to the Douma arson attack which killed a baby and his parents on July 31. Israeli forces have been criticized internationally, over recent months, for its ‘preemptive shootings’ of Palestinians alleged to be holding knives. In addition several of the incidents in which the military has claimed that they were ‘attacked’ have proven to be false.